Eddie Vella was born on February 14, 1945 in Nadur Gozo. Vella played all roles in the Valletta FC squad except the role of a goalkeeper. Usually Eddie played in midfield, on the right or on the left, or as an insider or on both sides. 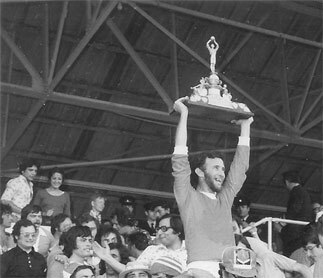 Eddie Vella, a product of Nadur Youngsters, played a total of 160 games and scored 16 goals in the First Divison League. In season 1974-75, Eddie Vella was chosen as the MFA 'Footballer of the Year'. 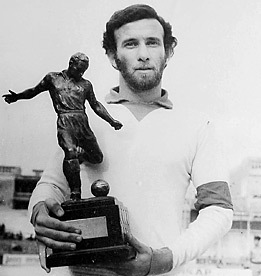 In the previous season Vella was chosen as Best Player in the First Division, this honour was only given in season 1973-74. Eddie Vella played nine matches for the National Team, six in the European Championship (vs. Greece 1-1, 2-0, vs Switzerland 1-2, vs Germany 0-1, vs Bulgaria (0-5, 0-2) and also in three friendly matches (vs Canada 2-0, vs Libya 0-1, 0-0). On January 8, 1991 Eddie was appointed as Valletta FC coach after George busuttil resigned from his position as coach. During his coaching career Vella coached Xaghra United (Gozo) and Gozo National Team. He qualified as coach in 1985-86.